Johannesburg – Universities and business schools are grappling with the ethics curricula they teach to professionals and future professionals. This follows damning revelations of state capture involving accountants, auditors and consultants at major international companies. Professor Imraan Valodia, dean of the Faculty of Commerce, Law and Management at the University of the Witwatersrand, said every crisis offers an opportunity. “There is a lot of debate within the senior executive team… we are working with two [international] economists, to develop context in the economics curriculum, it brings to the fore issues of power… so students think about economic systems with a historical perspective,” he told Fin24. Wits is working to transform its economic curriculum with Wendy Carlin, a professor of economics at University College London and Sam Bowles, a research professor at the Sante Fe Institute who authored the book The Moral Economy: Why good Incentives are No Substitute for Good Citizens. The university was ranked as the top African university in 2017 by the Academic Ranking of World Universities. Scandals involving KPMG, SAP, McKinsey and the apparent lack of ethical behaviour by some professionals and companies have brought the question of integrity and principled training into focus. 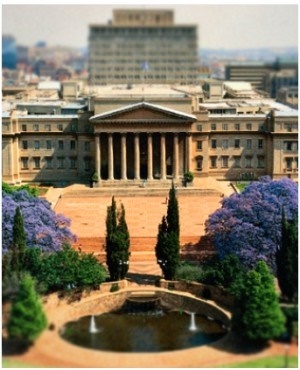 Former KMPG CEO Trevor Hoole and CA (SA) lists Wits on his LinkedIn profile as his alma mater. He resigned - along with eight other executives - in September after the auditing company’s complicity in the Gupta family’s alleged wrongdoing was exposed. Working as a consultant at international advisory firm McKinsey has long been seen as a badge of honour for top performing students at South Africa’s elite universities. The company admitted in October that its R1.6bn contract with Eskom, involving Gupta-linked Trillian Capital, was flawed and has offered to pay the entire sum back. Valodia commented the increased focus on ethics training for future professionals is linked to university students' current demand for ‘decolonised education’. The Gordon Institute of Business Science (GIBS), rated the number one business school in Africa by the Financial Times, said ethics training underpins its gruelling two-year MBA programme. Morris Mthombeni, executive director of faculty at GIBS, teaches ‘Environment and Business’ to top business students. “They’re learning as case studies about McKinsey, Transnet and KMPG,” he said. The candidates at GIBS don’t just study contemporary examples of ethical lapses, but also “consider the mining industrial complex and how apartheid South Africa located itself within this”. The programme also uses books such as Hennie van Vuuren’s Apartheid Guns and Money to provide students with context about corruption during the apartheid era. Former finance minister Pravin Gordhan joined the Wits School of Governance in November as a visiting professor, while another former finance minister, Nhanahla Nene, is currently acting head of the school. Valodia explained the reasons behind wanting Gordhan to be part of the learning experience for future government and business leaders weren't based solely on his track record of heading up the South African Revenue Service and Treasury. But while top business and economic departments are quick to point out they’re doing their bit to strengthen their ethics training, Valodia warns moral considerations aren’t exclusive to the auditing or financial professions.